Enjoy some of our serving suggestions and recipes! From our gardens to your plate! 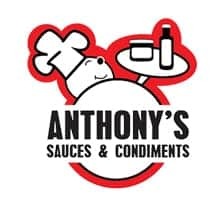 Whether Habanero, Piri Piri, Cajun, Smoky & Hot BBQ, Minty or Sweet these sauces are a great accompaniment to any meal where a Bit of Bite is desired, from pizza, stir fries, hamburgers, pasta dishes, added to any marinade sauce, or salad dressings, add to dips, great with cheese on toast or a steak sandwich. A few drops of the chilli sauces added to a Bloody Mary is fantastic. Delicious with bbq’d prawns. Add a couple of spoonfuls to your favourite casserole, stew or soup. Brings to life any type of stir fry, add to marinade sauces, great with meatballs, a great accompaniment on a cheese platter, add a couple of spoonfuls to your favourite salad dressing to give a lovely slightly Asian flavour. Perfect, as a dipping sauce for all types of spring rolls. Add a couple of spoons to your favourite gravy, soup or casserole. A lovely blend of spicy and sweet, chilli honey can be used as a fabulous marinade, glaze. Combine with any of our chilli sauces to make a fantastic marinade and glaze for ribs. Drizzle some over pancakes and bacon for breakfast. Fantastic with vegetable fritters. Add some to steamed baby carrots. Toss chicken wings with some soy and chilli honey then bake – YUM. A great addition to any cheese board. The king of vinegars, beautifully caramelised with a hint of chilli, a must for any foody’s pantry, fabulous with all salad dressings, fantastic as a dipping sauce with a good olive oil and dukha, sprinkle some over strawberries and serve with your favourite ice cream. Perfect base for caramelised onions, or add some to your favourite mayonnaise recipe. Any dish is enhanced by a spoonful of this black gold. 4 varieties of pesto, all using pecorino cheese and toasted walnuts and a combination of seasonal herbs, including parsley, baby spinach and rocket, in addition a lovely sundried tomato with a hint of chilli. The use of pestos are endless from the basic addition to pasta dishes, you can add a spoonful to your favourite risotto or soup to give depth of flavour. Mix with yoghurt, sour cream or crème fraiche to make a speedy dip, or add to a vinaigrette dressing to give a great flavour combination. Fantastic addition to toasted sandwiches, roast or steamed vegetables, stuffed mushrooms or simply use it as a straight dip, or on a platter with some dukha, extra virgin olive oil, some caramelised balsamic vinegar and your favourite dunking bread, for a simple mezze or anti pasto platter. A zingy & fresh salsa, packed with flavours and a bit of spice. Fantastic as a dipping sauce, great base for nachos, serve with guacamole and corn chips, or slather over corn bread. 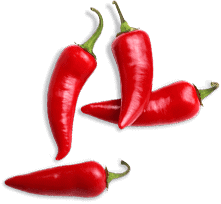 A great addition to chilli con carne, fajitas & tacos. The king of savoury jams, absolutely divine with any meat. Wonderful in stir fries, great in salad dressings. Add a dollop or two to laksa or any soup. Fabulous with steamed fish, vegetables or poached chicken. Great marinade for any meat, ribs or seafood. A fantastic addition to any cheese board. A vibrant Indian style tomato relish. A powerful combination of flavours & textures. Fantastic with samosas, naan bread or pappadums. A great accompaniment to any curry. Add a couple of spoons to rice when cooking a pilau. Great marinade base for any chicken, fish, lamb or beef to be barbequed. A fabulous base for butter chicken curry – see attached recipe. Or as a beef, lamb goat or vegetable curry. 4 marvellous combinations, Asian Style – perfect with any green salad, avocado vinaigrette, Asian style noodle salads, fantastic in a corn or carrot salad, lovely with chicken and mango salad. Balsamic Plum & Tarragon – a lovely fresh dressing for any simple salad, fantastic base for a pasta salad, brings out the nutty flavour in avocadoes, the perfect dressing for any salad. Chive, garlic & lime dressing – a slightly tart dressing that brings to life the most humble of green salads. Brilliant as a dressing for Greek salads, a dipping sauce for prawns or drizzled over steamed vegetables. Vodka infused Cumquat & Mint dressing; an explosion of flavours, fantastic with a watermelon salad, green salad, fabulous drizzled over roast lamb. A South American sauce that is the base for many BBQ’s. It is a zingy spicy sauce that is used as a marinade, baste & accompaniment for BBQ’d meats, poulty and seafood. Fantastic with oysters, a great dunking sauce for chips, and makes any steak sandwich, chorizo or sausage sandwich come to life. Serve with empanadas to give a light fresh flavour. Prepare chicken by trimming away any excess fat. Use a sharp knife or kitchen scissors to cut the chicken through the breastbone. Open chicken out and flatten by pressing down with hand along the backbone. Make a small cut under each wing to help flatten it further. Make several incisions in the flesh with a sharp knife – this will help the flesh absorb the piri piri marinate as well as allow fat to drain. Prick all over with a fork. To make the marinade, mix half a bottle of Piri Piri Sauce with the whisky. Brush both sides of the chicken with the marinade and sprinkle with rock salt. Cover and marinate in the fridge for at least 45 minutes or if possible overnight – this will help develop the flavours. Cook over a charcoal BBQ (or any hot grill if you don’t have a BBQ) turning frequently and basting continuously with the remaining marinade, until both sides are golden brown – apx 30 minutes. Cut the chicken into pieces and brush with fresh Piri Piri sauce. Get the 2 chicken breasts and pound them slightly and score the top of the chicken breasts to allow the marinade to soak right through the chicken. Place the chicken in a glass bowl. To make the marinade mix all other ingredients together and pour over chicken. Give it a quick stir to ensure all the chicken is coated. Cover bowl with cling wrap and refrigerate for at least 2 hours. BBQ the chicken breasts until cooked through. Place on a dish and allow to rest for 5 minutes. When ready to serve slice the chicken breasts, add the additional sweet chilli sauce and serve with steamed rice and your favourite steamed Asian greens, or add to mango salad (see vegetarian section). In a glass bowl, mix yoghurt with kasundi, add cut chicken pieces. Mix well to coat all the pieces. Cover and refrigerate for at least 4 hours or overnight. The longer the chicken is marinated the more the flavour will permeate the chicken. Heat oil in a heavy based pan, on high heat, add the chicken pieces and brown slightly, reduce the heat and add all the remaining marinade from the bowl, stir to combine, simmer for a couple of minutes, then add the tomatoes, salt, lemon juice, butter and brown sugar. Simmer for 20 minutes in order to reduce the liquid in the sauce and ensure the chicken is cooked through. Add the cream, taste for seasoning, simmer for a further 5 minutes to ensure the cream is incorporated into the sauce, stirring every so often. Serve with steamed basmati rice and if you wish mango chutney and mint raita. As with all curries they are even better the following day – that is if there is any left over. To make the filling, heat oil in pan, add leeks, garlic, bacon, capsicum, cumin, carrot and thyme, cook stirring until leeks are soft. Add chicken, cook stirring until chicken is cooked through. Stir in stock, Cajun sauce and blended cornflour and water, stir over heat until mixture boils and thickens. Remove from heat, stir in sour cream. Season to taste with salt & pepper. Spoon chicken mixture into 6 ovenproof dishes (1cup capacity), cut 6 rounds of pastry slightly larger than tops of dishes. Cut strips from remaining pastry to cover rims of dishes. Place strips around rim of dishes, trim to fit. Brush with water, top with pastry rounds; pinch edges decoratively together to seal. Cut slits in pastry; decorate with any remaining pastry, brush with egg yolk. Bake in moderately hot oven (200 degrees Celsius) for about 15 minutes or until pastry is browned. For the pastry you will need sheets of frozen puff pastry or if you prefer making your own pastry we suggest Maggie Beer’s sour cream pastry. Score duck skin deeply with a sharp knife in a criss cross pattern. Season duck on both sides with salt & pepper, place skin side down in a heated pan and cook for 15 minutes, over medium low heat. Reduce heat if it becomes too brown. Turn and cook just 5 minutes on the other side. Remove from heat and set aside to rest for 5 minutes. Drain almost all fat from the pan, but do not wash it. Keep the duck fat in a container – it can be used another time to make fantastic roast potatoes. Add Spicy Plum sauce and Caramelised Balsamic with chilli to pan and warm slowly. Angle slice each duck breast across the grain into 3-4 slices. Return to the pan with balsamic glaze and cook for another minute or two to just warm through. Adjust seasoning to taste. Place duck slices on warmed plates and drizzle with glaze. In a bowl, whisk plain flour, water & egg together. Season with salt. Cover & set aside for 30 minutes. Heat oil in a medium heavy based saucepan on medium high heat test by dropping a bit of batter, it should sizzle as soon as it is added. Dust prawns in cornflour, shaking off excess. Working in 3 batches, hold each prawn by the tail and dip into batter, wiping off excess. Gently lower into oil and fry for 1-2 minutes, turning until crisp & golden. In a large frying pan, combine chilli honey, oil & sesame seeds. Stir on low heat until smooth and runny. Add cooked prawns, quickly fold through the honey mixture ensuring all prawns covered. Serve immediately with steamed vegetables and rice. 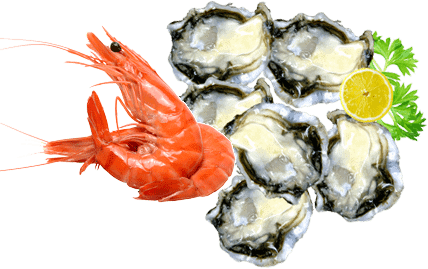 Arrange oysters on 6 dinner plates, divide the Chimichurri evenly on each one of the oysters. Serve immediately. Preheat over to 220°C. Line a large shallow baking dish with baking paper. Arrange salmon pieces in a single layer in the baking dish. Spread 1 tablespoon pesto over each piece. Scatter the capers, tomatoes and lemon zest over the salmon pieces, drizzle with olive oil and season with salt and pepper. Roast until just cooked through – 6-8 minutes. Serve immediately. Rocket and salmon are a marriage made in heaven, but any of our pestos work equally well with this recipe. To make the chilled soup base, mix juice, lime juice, chilli sauce & salt in a large bowl. Adjust seasoning to taste. Chill while preparing salad garnish – mix together tomatoes, cucumber, capsicum, avocado & almonds. Divide the salad garnish between 6-8 shallow serving bowls, pour the chilled tomato soup around the outside and garnish each bowl with a sporing of mint or tarragon. Place the finely sliced onions in a glass bowl and pour in the sweet chilli sauce & lime juice. Mix well and cover with cling wrap. 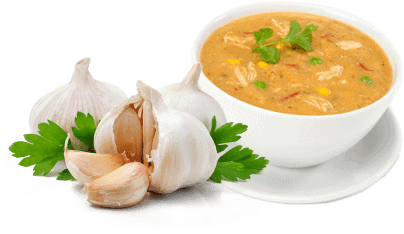 Refrigerate for at least ½ hour to allow the onions to marinade well in the dressing. 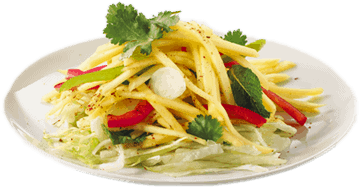 When ready to serve add the mango, coriander, basil, chillies and cashew nuts, mix well. This salad goes beautifully with Piri Piri Prawns or Sweet Chilli Chicken. Combine onion, honey, cumin, cinnamon, garlic & Smoky & Hot Sauce in a food processor, pulse until finely chopped. Peel and section lime over a bowl, catching juices; discard peel, add lime juice, lime sections and 1 tablespoon olive oil to food processor, process until smooth. Place the Smoky & Hot sauce into a zip-lock plastic bag, add pork, marinate in refrigerator for at least 1 hour. Preheat oven to 175°. Heat an ovenproof Dutch oven over medium-high heat, add 1 tablespoon oil to pan, remove pork from bag and reserve marinade. Sprinkle pork with salt; brown pork on all sides. Remove pork from pan, add broth and reserved marinade, bring to a boil, deglaze pan. Return pork to pan, cover and bake for 2 ½ hours or until pork is fork tender, alternative, place in a slow cooker and cook on low for 8 hours or overnight. Shred port and toss with sauce. 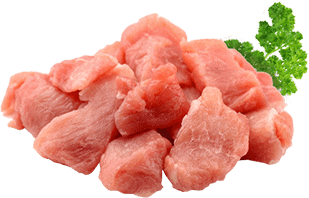 This pork is perfect by itself served with rice, for sandwiches, tacos or as a topping for baked potatoes. To make pastry – combine flour, baking powder & salt in a bowl. Mix oil and water together then tip into flour. Mix with a knife until dough comes together, it should be soft and supple. Cover and rest for at least 30 minutes. Place pork, spicy plum sauce, sesame oil, chimichurri, spring onions, water chestnuts & lime leaf or lime zest or mint in a bowl. Place 2-3 tablespoons pork mixture in a short sausage shape near the bottom of a spring roll wrapper. Fold insides and roll up tightly like a fat cigar. Place on a plate, join side down, until ready to cook. Repeat with remaining wrappers and filling. When ready to cook, preheat oven to 200°C, heat about 2 tablespoons of oil in a frying pan and brown spring rolls in batches over medium heat for about 2 minutes each side, starting with the join side down to seal. Add more oil to pan between batches. Transfer browned spring rolls to the oven and bake until crispy and fully cooked through – apx 10 minutes. Cut in half on the diagonal with a serrated knife. Serve with any of our Sweet Chilli Sauces or Spicy Plum Sauce. Carefully remove skin from ham, do not remove the fat. Score the fat. Mix the glaze sauce with a ½ cup of water. About 2 hours before needed take the ham out of the fridge re- baste the ham and place in the oven, baste every ten minutes for 1 ¼ hours. Make sure you use up all the basting mixture, as the ham heats, the fat will open up and really absorb it. Cook the ham as close to serving as possible, cover with foil after you take out of the oven to keep nice and moist till time to serve. There are a couple of things to remember when making chilli con carne, the first one is that you should make it at least one day prior to eating, as this will give all the ingredients a chance to mix together and more or less mature the flavour like a good wine. The other thing is that there is no right or wrong way to make chilli con carne. 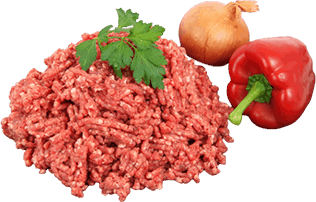 So feel free to experiment and add or delete any of the following ingredients – just remember the main ingredients are chilli and meat. In a large pan, heat the oil then add & brown ground beef garlic and onions. Drain off any excess fat . Add all other ingredients and allow to simmer for at least half an hour. Allow pot to cool and then refrigerate overnight, this will allow all the ingredients to blend in together and mature to a lovely flavour. Reheat and serve with corn chips & a dollop of sour cream. In a large pan, heat the oil and brown the ground beef. Drain off any excess fat. Add the beans and salsa and simmer over medium heat for at least 15 minutes. Serve with corn chips & a dollop of sour cream, and some guacamole on the side. Smoky & Hot Sauce if you want a smoky flavour. Preheat oven to 200°C. Arrange corn chips on a heat proof plate, top with Chilli Con Carne, sprinkle with cheese. Bake for 15 minutes or until hot and cheese has melted. Top with salsa, mashed avocado, sour cream, coriander and your choice of chilli sauce. Serve whilst hot. Heat a frying pan over medium-high heat with a tablespoon of olive oil. Season steaks with a bit of sea salt. Cook steaks for 4 minutes on each side for medium rare or until cooked to your liking. Add the balsamic vinegar and turn the steaks until they are evenly coated by the caramelised vinegar. Serve with your favourite steamed green vegetables and some French fries, which are fabulous dredged in the steak/vinegar juices. Cut lamb steaks into 2 cm cubes, and toss in a bowl with ginger, Spicy Plum Sauce & Chilli Honey. Cover and marinade in the fridge for at least 2 hours, or up to 12 hours. Thread lamb onto skewers (ensure you have soaked wooden skewers for at least 30 minutes in water to prevent them from burning whilst cooking) and finish each end with a piece of capsicum. BBQ or grill over medium/high heat until just cooked through – about 1-2 minutes each side. Arrange on a platter and drizzle with Minty Sweet Chilli Sauce. Place the leg of lamb in an oven bag with the whole contents of the bottle of salad dressing. Marinade in the fridge for at least two hours, turning every so often to ensure lamb is well coated with the marinade. Preheat oven to 180°. 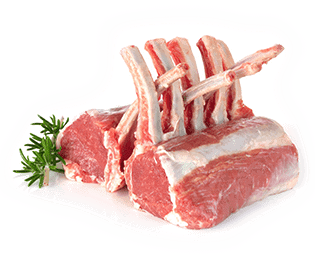 Place lamb in its oven bag in a baking dish. Puncture at least 6 holes in top of the bag with a large fork, this will ensure steam can escape from the bag and not burst the bag. Roast lamb for 1 ½ hours. After the 1 ½ hours, open the bag up and baste the lamb with juices, roast for a further half hour. Rest meat for 10-15 minutes, whilst meat is resting, place all pan juices in a small pan, bring to the boil and allow to thicken, use these juices as a lovely sauce to serve with the meat. Alternatively use some Minty Sweet Chilli Sauce. Heat 2 tablespoons of the olive oil in large frying pan. Add the onions and cook gently until softened, but not browned. In a large bowl, whisk the eggs with the salt and chilli sauce. Thinly slice cooled potatoes and stir into egg mixture, adding the onions and parsley, ensure the potato slices and separated and coated with the egg mixture. Heat remaining oil in frying pan used for onions. Add the egg mixture, as the base begins to cook, use a spatula to lift in several places, allowing raw egg to run underneath. Once it starts to set, leave it to cook over a very low heat until just set through. Place under a preheated grill until the top is set and golden. To make the filling, heat oil in pan, add leeks, garlic, capsicum, cumin, carrot and thyme, cook stirring until leeks are soft. Add the mushrooms, cook stirring until mushrooms are cooked 2-3 minutes. Stir in stock, Cajun sauce and blended cornflour and water, stir over heat until mixture boils and thickens. Remove from heat, stir in sour cream. Season to taste with salt & pepper. Spoon mushroom mixture into 6 ovenproof dishes (1cup capacity), cut 6 rounds of pastry slightly larger than tops of dishes. Cut strips from remaining pastry to cover rims of dishes. Place strips around rim of dishes, trim to fit. Brush with water, top with pastry rounds; pinch edges decoratively together to seal. Cut slits in pastry; decorate with any remaining pastry, brush with egg yolk. Bake in moderately hot oven (200°C for about 15 minutes or until pastry is browned. Heat oil in a large frypan over low heat. Add the onions and a good pinch of salt and cook very slowly for 15-20 minutes, stirring occasionally to prevent them from catching. Don’t be tempted to turn the heat up, as you don’t want the onions to burn. When onions are softened and tinged golden, add balsamic – this will start the caramelisation process. Cook onion over low heat for a further 5-10 minutes, stirring occasionally, until sticky and caramelised. Use immediately, or store in the fridge, in a sterilised jar or plastic container, and use when required. Zucchini Topping – place oil in frying pan with onions, & garlic, season with salt cover and cook over low heat for apx 20 minutes. Whilst the onions are cooking grate the zucchini onto a clean tea towel. Pull up the sides of the tea towel, twist and squeeze tightly over the sink to remove liquid. Add the zucchini to onion mix and continue to cook until all liquid has evaporated and the zucchini has just softened. Remove from heat and allow to cool. Preheat oven to 220°C, cut baking paper to the same size as baking try measuring 33x38cm place tray in the oven to preheat. Placing baking on a clean bench and roll out pastry on top until it is the same size as the baking paper. Fold in edged of dough by 1cm to form a raised border. Spread cooled onion & zucchini mixture over pastry base, squeeze out the juice of the cherry tomatoes so the pastry does not go soggy, then toss the tomatoes in the Cajun chilli sauce, top onion/zucchini mixture with tomatoes, crumbled feta and pine nuts. Slip baking paper with Pissaladiere on to the preheated baking tray and bake until crisp and golden – apx 30 minutes. Serve warm or cold. Heat oil in a large pan, cook onions with garlic over a low heat until softened but not browned, apx 10 minutes, add tomatoes, strained and rinsed beans, chilli sauces, sugar, water & salt, bring to a low simmer. Simmer for apx 45 minutes, until thickened. Alternatively bake for apx 1 ½ hours in preheated oven at 180°C. Adjust seasoning to taste, then spoon into a deep serving dish and garnish with fresh chopped coriander. Smoky & Hot BBQ Sauce if you want a smoky flavour.